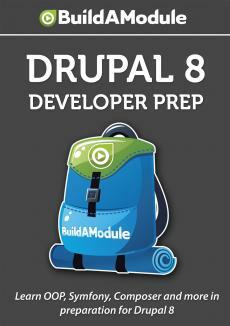 At this point, it makes sense to review the process that we would normally go through to add a page in Drupal 7. So if we go back to the editor, I've opened up a file from a Drupal 7 module called admin menu and I've scrolled down to the hook menu function. So you saw we just added a hook menu for our glue module but the structure is quite a bit different than what we see in Drupal 7.